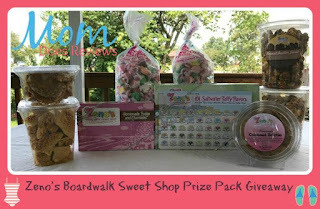 Do you love the delicious, classic taste of Boardwalk Taffy? Zeno's is the worlds most famous maker of tasty taffy. But the delicious taste doesn't stop there, they have tons of other sweet treats including fudge, gourmet popcorn, brittles and more. It has been many years since I had taffy--it was at Atlantic City as a little girl! I still remember that taste. FUDGE--oh how I miss FUDGE--being diabetic has it's major downside. I am going to go in myself to see if maybe they have a sugar free variety--most candy companies do these days. For those of you LUCKY enough to be able to eat candy to your heart's content--this is some great prize. I suppose you could split it up and give as gifts--or use for a Halloween party--or hide it from the kids and eat it all by yourself!! Since 1948, four generations of our family have been making the World’s Most Famous Taffy™ on the boardwalk of the World’s Most Famous Beach in Daytona Beach, FL. What started out as a small sweet shop has grown over the years, and now we’re proud to be able to offer our World’s Most Famous Taffy™ anywhere in the world! What make’s Zeno’s World’s Most Famous Taffy™ unique? Well, after 60+ years of pulling taffy, we’ve learned a few tricks to making sweet taffy that’s so light and smooth, it practically melts in your mouth. Our family has a special whipping technique to make every piece of taffy soft and delicious without ever being too hard. 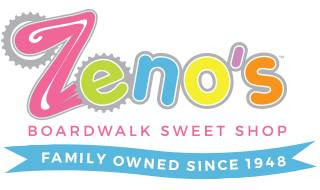 To learn more about the delicious sweet treats available from Zeno's, be sure to read Kristin's full review here. 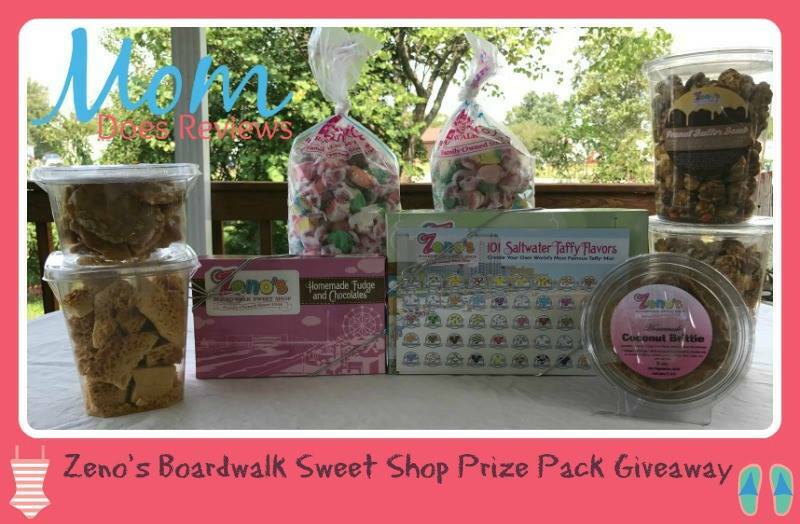 One winner will receive a $100 Zeno's prize package that includes an assortment of candies and sweets (items may vary from pictured above). the laffy taffy mix sounds so good! I would like to try the fudge. Sounds great. i would love some beach worthy fudge! Fudge-- anything chocolate is a favorite at my house.